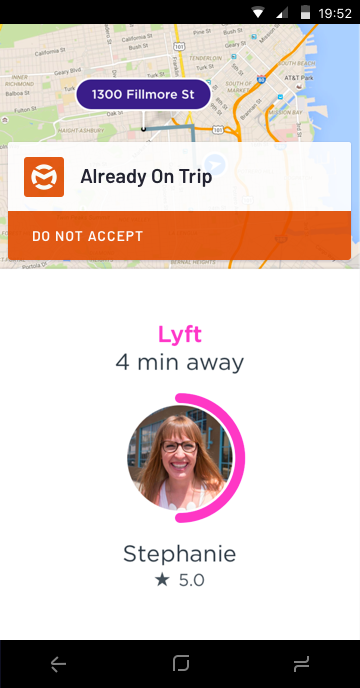 Occasionally, you'll receive a second trip request immediately after Mystro auto-accepted the first trip request. This happens infrequently. However, in cases like this, Mystro will display the pop-up message ALREADY ON TRIP - DO NOT ACCEPT letting you know that you are already on a trip and not to accept the new trip request. As always, you can choose to override Mystro's message, accept the new request, and cancel the first request. NOTE: On-demand companies have very strict rules concerning repeatedly canceling trips you've accepted.